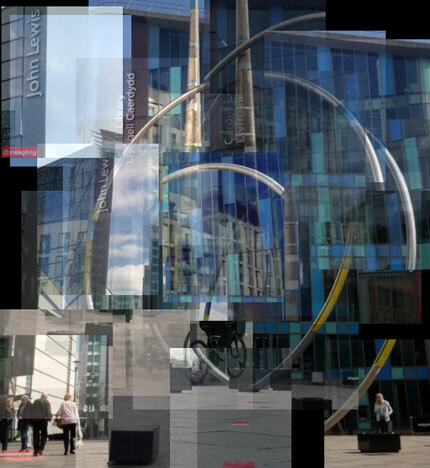 Throughout May we have asked Cardiff residents and visitors to contribute to a series of unique online collages for ffotohive. Photographs have been taken at six designated sites known as ‘hives’ around the city, which were then tweeted and uploaded to become part of this ever-changing digital artwork capturing the city. The artwork is on show at the Tramshed for the last three days of the festival, and visitors will have an opportunity to take part in the project in the newly unveiled Tramshed hive. The exhibition opening will feature a live soundtrack by musician Tom Raybould (Arc Vertiac).